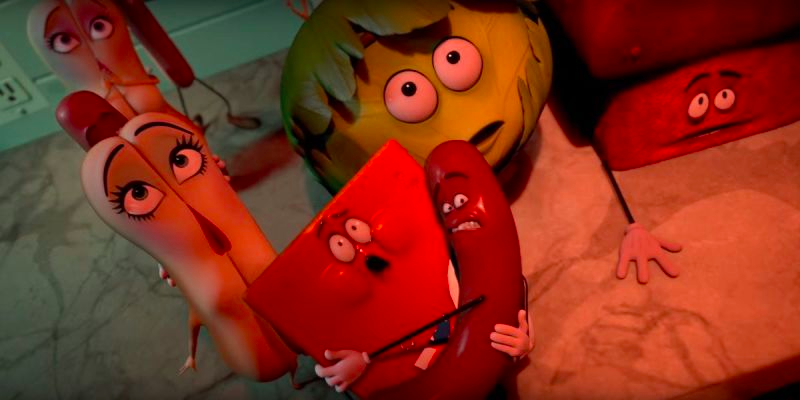 Sausage Party has become the surprise hit of a summer sorely lacking in them, making almost $37 million on a $19 million budget. Well, now animators are speaking out about how the film kept costs down. The production cost were kept low because Greg would demand people work overtime for free. If you wouldn’t work late for free your work would be assigned to someone who would stay late or come in on the weekend. Some artist were even threatened with termination for not staying late to hit a deadline. Almost half the animation team was not credited. The team believed in this film and poured their hearts and souls into it. Despite this, more than half of it was not credited. You can see the full team on IMDB, which contains 83 people (and I am certain there are some missing). The film’s credits, however, contains 47. All of the comments are truth or maybe rather written too lightly. I personally know & witnessed many other incidents during the production; such as an “Open Letter” to the clients, and how Greg threatened artists for it. Sickening how one can brag about production cost, when he was the one who demanded artists to work for free, otherwise get fired. It made sense that the commenters were anonymous: everyone was afraid of reprisals, especially since the stories included Tiernan threatening to ruin people’s careers. But, of course, that also made it hard to verify. Now Variety has talked to the animators while keeping their names out of the story. And it all sounds true. The “Open Letter” referenced above was a petition sent to Annapurna Pictures—the production company behind the film—by the animators telling them about the conditions. According an animator, one of the reasons they had to send a letter to the clients was because the person that received the complaints about Nitrogen was Nicole Stine, Tiernan’s wife. Nitrogen Studios is based in Vancouver, and conditions similar to these are apparently the norm in non-US-based animation studios. It’s a combination of an overabundance worldwide of animators, making it hard to rock the boat when you know it’s easy to be replaced, and Canada providing tax incentives for productions. In Los Angeles, animators are unionized and have protections workers in other countries just don’t have. Sony, which distributed the film, and Annapurna didn’t comment on the Variety story, while Tiernan told Variety that the complaints were “without merit” and wouldn’t explain why they existed, if they weren’t true. “We take these things seriously and don’t want to ignore these claims,” he said. Now that complaints been made public, they can’t.